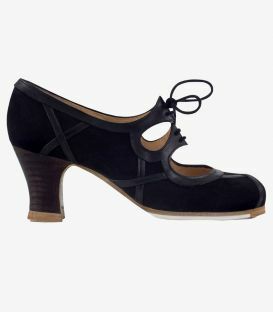 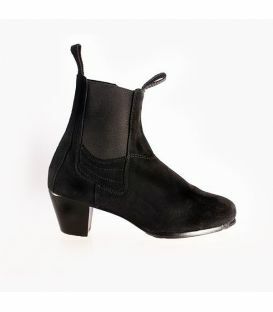 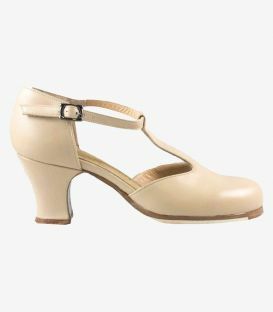 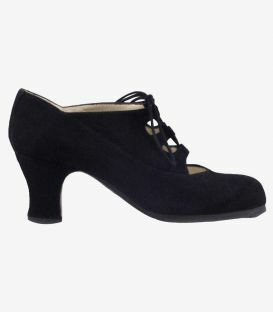 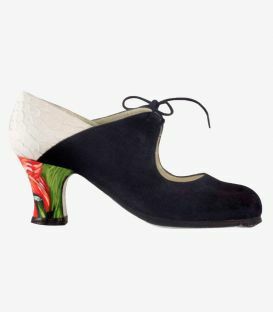 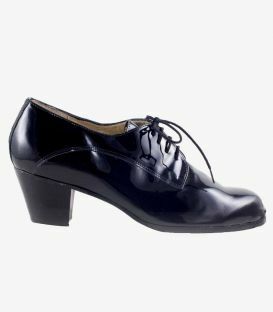 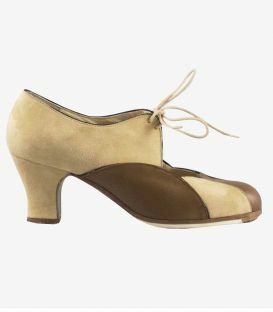 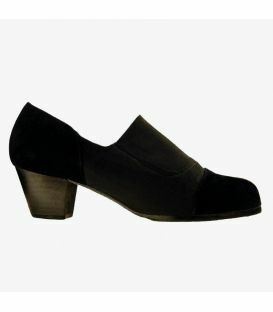 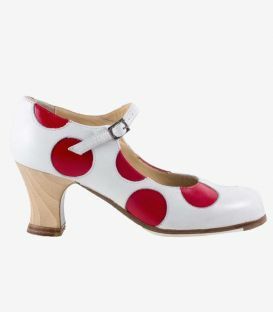 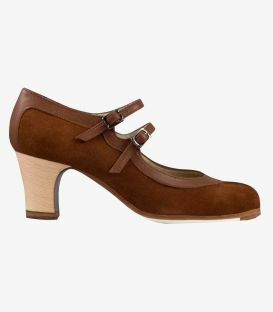 The Begoña Cervera Botin Bordado model is one of the most striking professional flamenco shoes found in this type of booty. 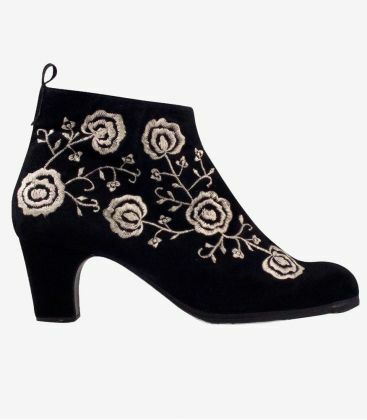 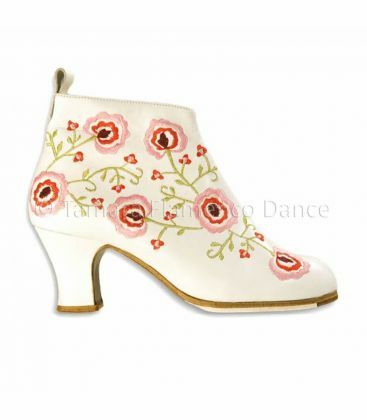 It is a boot that covers up to the ankle with the typical zipper on the side and that has as an ornament on the whole body of the shoe embroidered with flowers. 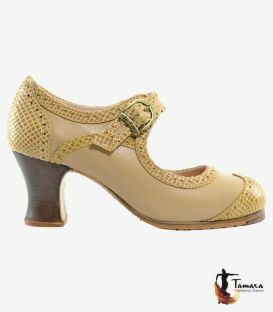 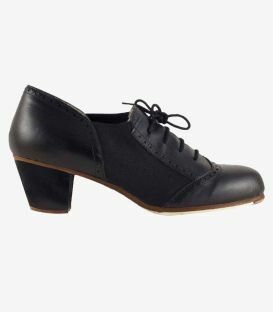 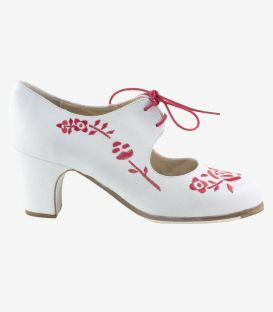 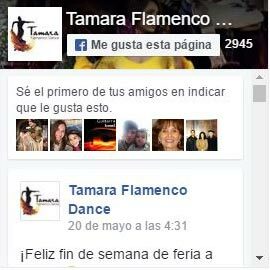 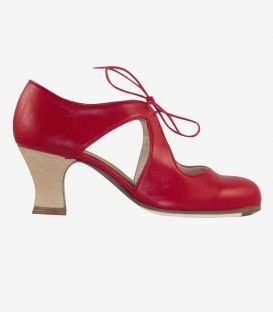 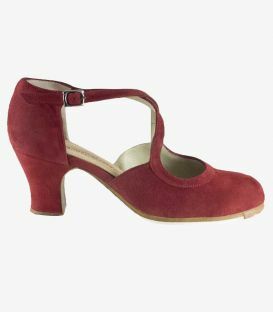 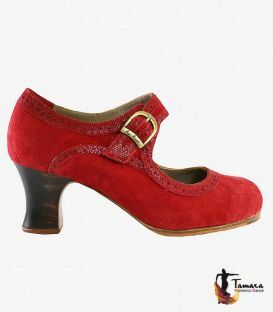 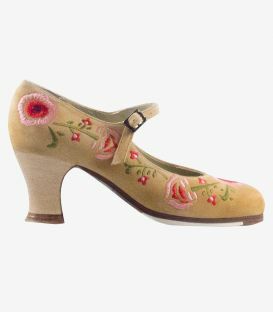 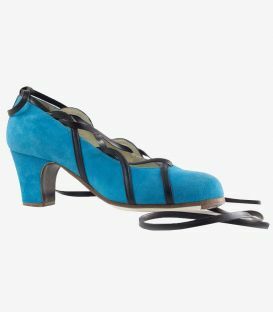 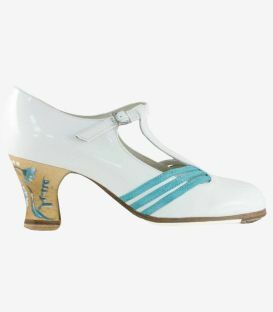 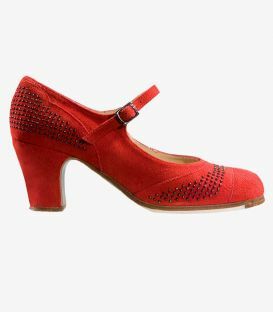 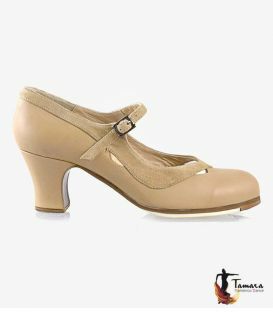 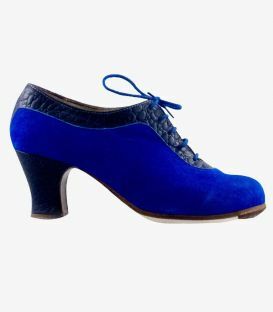 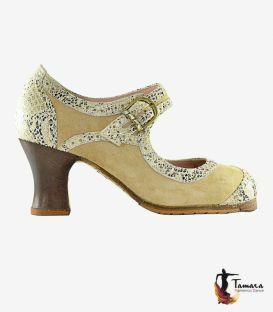 Although the embroidery may seem overloaded for some occasions, these dance shoes are really practical for the flamenco dancer who prefers this type of footwear for dancing rather than the usual heeled shoes. 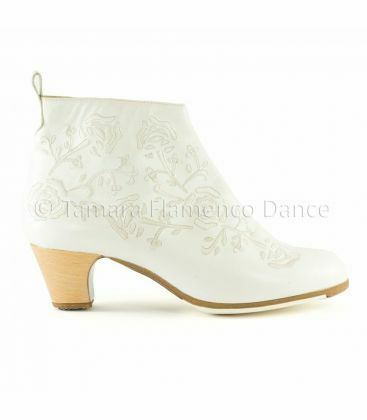 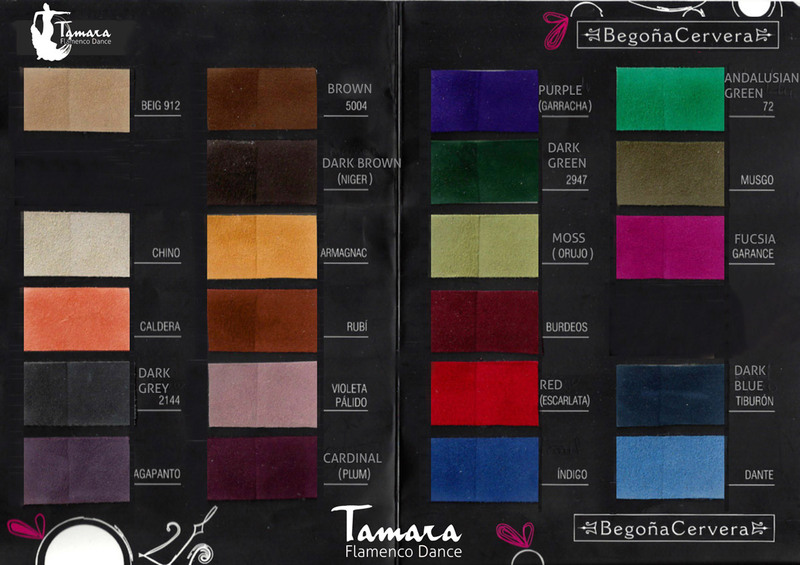 If the embroidery is chosen in tune with the shoe for example, we get a special effect without looking too much and can be the perfect companion for any exhibition of flamenco art.